As outlined in the SNP manifesto, Stewart Hosie will be allowed into your home without a warrant and may be entitled to smash up your belongings, Nicola Sturgeon has confirmed. 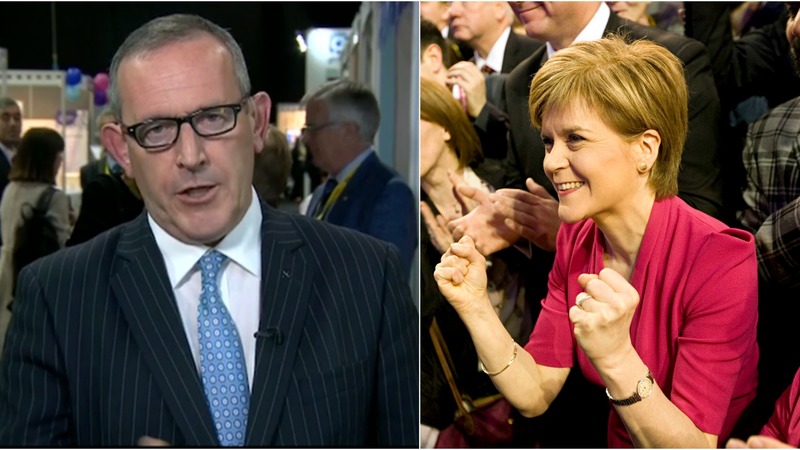 The SNP leader told the BBC’s Gordon Brewer that falling two seats short of an overall majority in last week’s Holyrood election would not stop her plans to launch a summer drive for Stewart Hosie. When asked by Brewer what this summer drive would look like, Sturgeon refused to go into full detail. She said: “You’ll hear exactly what that summer drive is going to consist of when I announce it in due course. “But suffice to say, we’ll drive Stewart Hosie all over the country, so he can randomly enter people’s houses as and when he wants, depending on who needs shouting at the most. As the Scottish Parliament reconvenes today, the First Minister has been at pains to point out that while she intends to govern consensually, she won’t take no for an answer on Stewart Hosie. The Conservatives, celebrating their most resounding Scottish election victory since the last time they came a distant second, said Scots had resoundingly spoken on the matter of Stewart Hosie. “We didn’t want him then, and we don’t want him now,” a Tory spokesman said. “The only people who don’t mind him are half of Scottish voters. But the 20% who gave the Tories our resounding mandate to stop Stewart Hosie in his tracks – they don’t want Stewart Hosie. You make Stewart Hosie sound like a bad thing. I disagree. Since last year’s election I have had a life sized inflated replica of Stewart Hosie on my roof where it has served many useful functions, such as repelling burglars and keeping down the pigeon population. My sister in law in Cumbernauld breeds Stewart Hosies in her shed and they make adorable pets. Mind you, she is stark raving mad. Nevertheless you shouldn’t knock it until you’ve tried it.